We are grateful to partner with these front-line ministries, who steadfastly and compassionately meet with women, men and families in crisis every day. 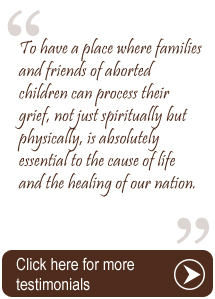 Their commitment to guide and counsel for life protects so many little lives from tragedy, while sparing their parents a lifetime of sorrow and regret. But even in the face of abortion and the post-abortion agony, they bring a message of hope through forgiveness and closure. 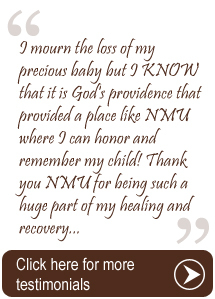 Their partnership with NMU unites our missions to bring dignity and honor to the lost and restoration to grieving parents. Thank you for all you do!